In last month’s article I discussed meeting with clients after a death of a loved one, and the process of gathering information regarding the decedent, and said person’s affairs. Once this information is obtained, the issue is whether or not to open a “probate” estate. The main purpose of a probate estate is to prevent fraud, notify creditors, pay decedent’s last bills and taxes/tax returns. The triggering issue is whether the decedent’s net (after liens, encumbrances, and funeral expenses are subtracted) estate at death is $50,000 or more. Only assets in the decedent’s name alone count toward this number. Some assets/accounts do not count toward the $50,000. 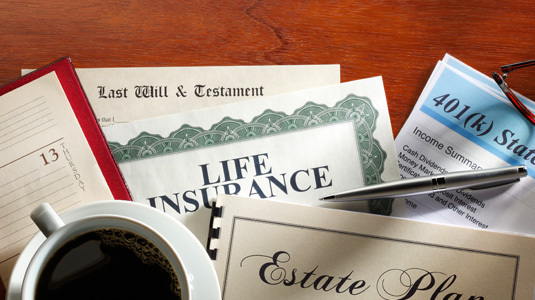 For example, joint accounts, joint real estate with survivorship, assets in trust, payable/transfer on death accounts, or accounts such as IRA or life insurance with beneficiary designations can avoid “probate” and do not count toward the $50,000. If the probate estate is less than the $50,000; then assets can be transferred without the Court’s involvement and by Affidavits for small estate administration. A bank account that is in the decedent’s name can be transferred after 45 days by Small Estate Affidavit when the bank is presented with a properly executed Affidavit. Some other assets, such as vehicles can be transferred within 5 days by Affidavit if no probate estate is opened. If a probate estate must be opened, then there are two basic avenues: an unsupervised or supervised estate. If the Last Will and Testament provides and allows for an unsupervised estate administration, or if the heirs consent to an unsupervised estate, then it can proceed as unsupervised estate. An unsupervised estate is still filed with the County where the decedent resided; but the Court will not be involved after the initial Order to probate the Will, if one, and to appoint a personal representative. A supervised estate requires the Court supervision on each step of the process. For example, to sell decedent’s real estate in a supervised estate requires the Court approval; also, a final accounting must be filed, and notice, and approval given by the Court in a supervised probate estate proceeding. Obviously, most people prefer the unsupervised due to the privacy and usually the estate can get settled quicker, and with less fees and expenses. A probate estate administration takes between 6 months to a year unless issues arise requiring more time, or if the estate is contested. It is important to have your estate planning and accounts set up correctly during your life if you would like to avoid probate.